+ DO YOU SHIP OUTSIDE OF THE UNITED STATES, AND HOW MUCH DOES IT COST? + Can I pick up my order at your Brooklyn studio? Yes! Order through our site and select “pick up in store” as the shipping option at check-out. Or, simply stop by. Before visiting, please call the studio at 718-521-4043 for hours and stock information. We’re located at 21 Snyder Avenue, Brooklyn, NY 11226 between Flatbush and Bedford avenues. On-street parking is available, and nearby public transportation options include the B35, B41, and B49 buses and the following subway lines: B/Q at Church Avenue and 2/5 at Church Avenue. Click here for directions. Slippers in their original, unworn condition may be returned for a full refund (not including the cost of shipping & handling for the original shipment) within 30 days of the date of receipt. You are responsible for the cost of shipping for returns. Please include the packing slip you received with your order, and specify which items you will be returning. We strongly recommend adding a tracking service to packages with items being returned, as we are not responsible for returned items that are lost in transit. Refunds are issued once we receive the returned item[s]. You will receive an email confirmation once the refund has been issued. + Can I stock your ballet slippers in my shop? Can I suggest a shop I think should carry your ballet slippers? Interest in our slippers continues to grow! 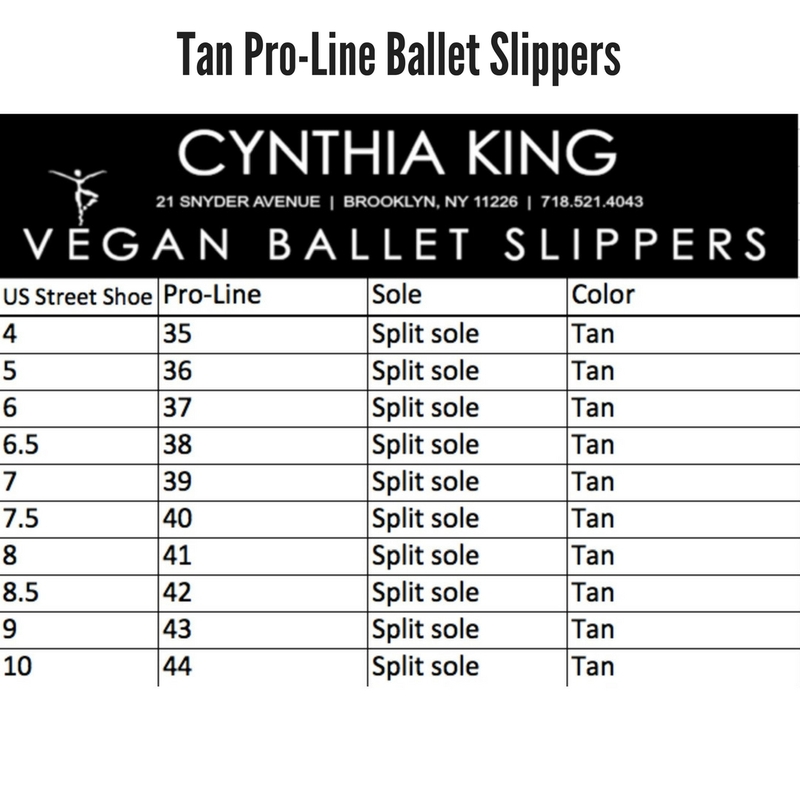 We believe vegan dancewear should be easy to purchase wherever mainstream dance supplies are sold to accommodate the growing number of compassionate dancers worldwide! Shop owners can click here to join our list of authorized retailers. For more information on wholesale pricing and availability, or to suggest a favorite shop you'd like to see carry our slippers click here. + OUR DANCE SCHOOL IS INTERESTED IN FEATURING CKVBS AS THE REQUIRED SHOE. DO YOU OFFER STUDIO DISCOUNTS? Dance companies worldwide are taking a graceful step towards improving our environment and reducing cruelty to animals with CKVBS! We are currently offering a Studio Owner Discount and wholesale pricing. Click here to find out more, or to let us know if you think YOUR dance school should make the switch!